Check on: http://www.wheredoivotema.com/bal/MyElectionInfo.aspx to confirm the names of your State Senator and State Representative, based on where you live/vote. They all have local office hours in your community. You can contact their State House office to find out when these will be held. Both events (Engineers and Land Surveyors Day + Water's Worth It Day). 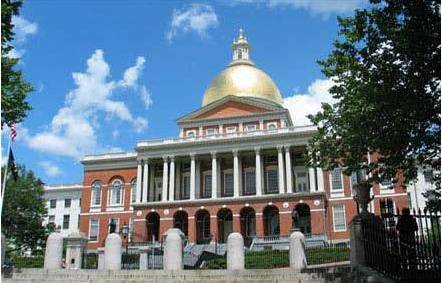 On Tuesday, May 15, 2018, ACEC/MA, BSCES, and MALSCE members gathered at the Massachusetts State House for our Annual Engineers and Land Surveyors Day at the State House along with leaders from other engineering and design-related associations. We held advance briefing sessions for Engineers and Land Surveyors Day at the State House: These were opportunities to discuss the issues and plan how to get the most from your meetings before May 15, at one of 3 optional, free Advance Briefing Sessions held in person at Aldrich Center at The Engineering Center or by Zoom from your office. Water's Worth It Day - Lunch and program with Representative Carolyn Dykema and Secretary Matthew Beaton, Executive Office of Energy and Environmental Affairs, in the Great Hall, along with display on Water Infrastructure issues. Recent changes in the lobbying laws over the past few years have the effect of sweeping some activities into the category of "lobbying" which previously may not have been considered lobbying. As long as you are participating in Design Professionals Day as a representative of at least one of our associations, discussing the issues set for the day, you do not have to register as a lobbyist. 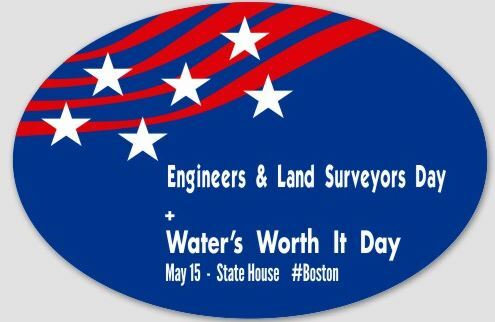 An important part of our Advocacy efforts is Engineers and Land Surveyors Day; the one day each year when we as a profession gather in force at the State House and present our industry's viewpoints in person to our local legislators. It is a chance for each of us to meet with your State Representative and State Senator to discuss issues pertinent to our industry, to you as an individual professional, and to you as a citizen. We coordinate this event annually to promote communications with our state legislators, arranging appointments, providing briefing sheets on key issues for ACEC/MA, BSCES and MALSCE members to utilize, and establishing teams of local residents to meet with their actual legislators.